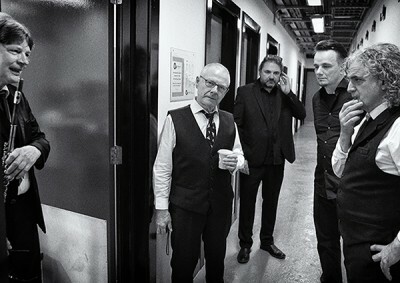 “What I like about this band is, that what it is actually doing is not what it appears to be doing...This is King Crimson re-imagined” – Robert Fripp, June 2016. 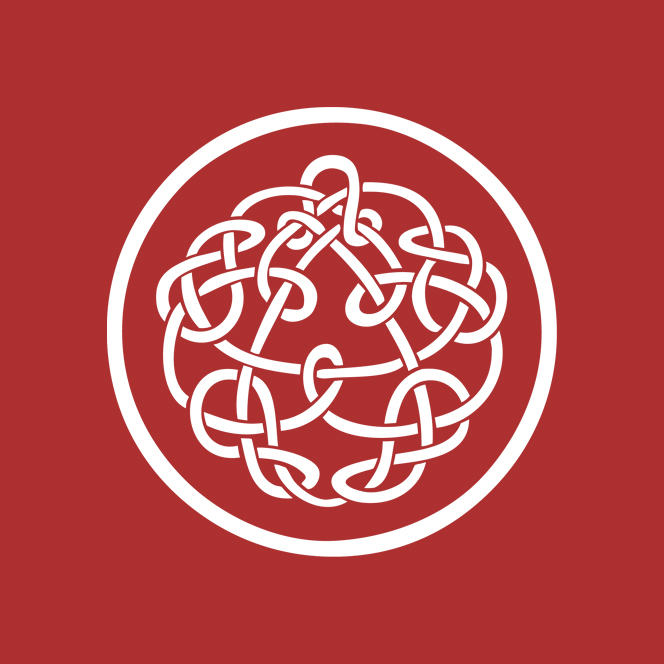 This definitive set includes at least one performance of every piece of music played by King Crimson in 2015, some composed as early as 1969, the year of the band’s inception, others composed/initially performed at a variety of points since, some new to the tour- all re-invented by the new seven-headed incarnation of the band. Three themed CDs each form a separate discrete performance - with audio selected from a variety of shows and mixed in hi-resolution from multi-track recordings by Chris Porter, Robert Fripp and David Singleton. 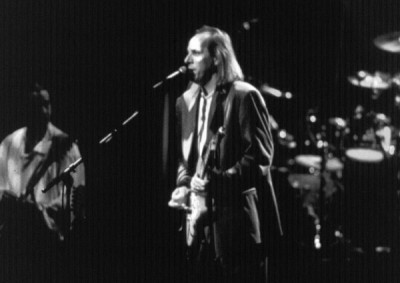 As no audience is audible between tracks, this allows for a “virtual studio album” effect, the band using the concert hall as their studio. Meanwhile the video, available on both DVD and BluRay, captures highlights from a series of Japanese concerts via a number of discreet cameras in “video vérité” style – with neither band nor audience disturbed by filming. Heraclitus states, “All things come into being by conflict of opposites, and the sum of things (“The Whole”) flows like a stream.” This is King Crimson in 2016. 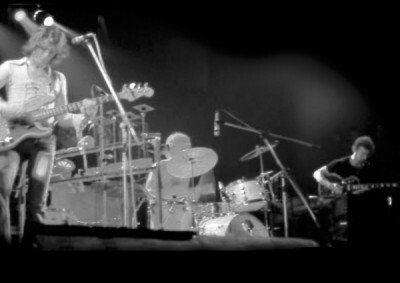 Sheerly masterful, the epitome of virtuosity, and the contribution of a lifetime: King Crimson is King Crimson is King Crimson. Radical Action to Unseat the Hold of Monkey Mind is a virtual studio album and edification of the endless inner knot as a whole that has entwined generations into the fold for almost half a century now. David Singleton’s flawless mix down and representation of the live stage presence is delivered in syncretic, jubilant, and generous spirit. The Vicar, with attention to every detail, bestows a well-mastered release that delivers us unto King Crimson in the purest sonic clarity - a clarity unexplored until now. The DGM Audio Quality becomes apart of the virtual studio album’s essence and can no longer be envisaged in any other way. History has been made and what a bright future lies ahead! 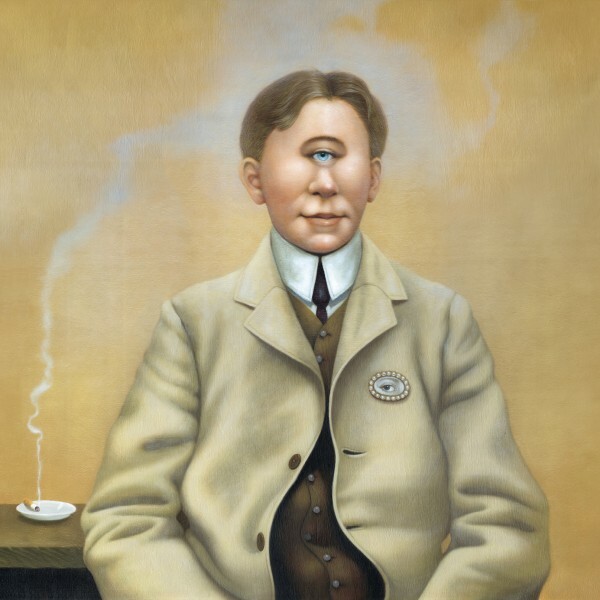 The virtuosity explicated in good will by Robert Fripp, Jakko Jakszyk, Tony Levin, Mel Collins, Pat Mastellotto, Bill Rieflin, and Gavin Harrison distills the enterprise of the ProjeKcts, days of Discipline, and the origin story - In the Court of the Crimson King - as a new index of alchemical possibilities. A keen listener can hear the range of distinct elements from all eras of King Crimson in this 2016 recording. Alas, the inner knot is revealed to have no beginning and no end. 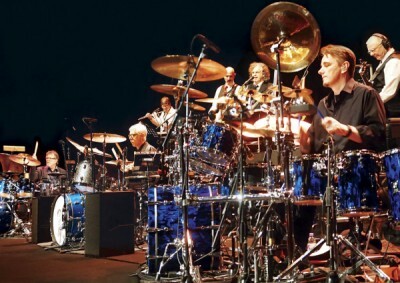 King Crimson captures the eternal moment perfectly in the clinches of live performance. Radical Action to Unseat the Hold of Monkey Mind is a true gift to nostalgists of every era, but even more so to listeners who are radically unseated by King Crimson. Be advised: “Ever-newer waters flow on those who step into the same rivers.” So please enjoy with ears wide open and as a (wo)man with an open heart! I enjoyed two "hot dates" with the 2015 version of the seven headed Crim during their UK tour and was absolutely blown away. They were experiences that I can't quite explain as they impacted upon me deeply, profoundly and intensely. Experiencing and enjoying the music in person, naturally, I was keen to revisit the experience via an official DGM live recording. The Toronto show filled that gap very nicely but being just one show, there were various numbers missing, notably "One More Red Nightmare" which was a major highlight in the shows I witnessed. Thankfully, DGM were on the case, promising and delivering this epic set containing a rendition of every song in the 2015 repertoire. The trio of audio CD's have the audience removed and mixed to studio quality. There were some who grumbled about this approach whereas personally I felt it offered a more immersive experience, to sit within this band and study the finer details. What soon becomes clear is that in spite of solos here and there, this band operate as a seven headed entity, fusing elements from each decade of Crim history and creating something new and fresh. Robert has stated that "the music is new whenever it was written" and this amply proves the point as familiar favourites are given a fresh makeover, retaining the vital elements given a new sheen. 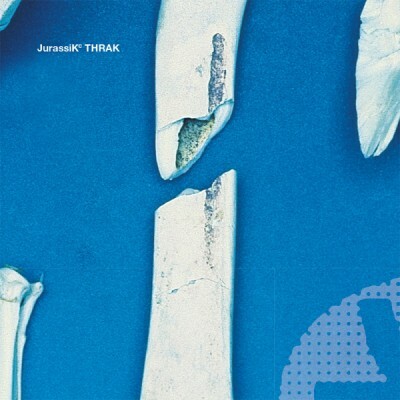 Like many, I was skeptical of the triple drummer idea but when I saw it in person, it made perfect sense - forever etched into my mind are the images of Pat Mastelotto intently focused playing as if his life depended on it, Bill Rieflin's cool calm demeanour (plus bringing those glorious Mellotron parts to life) and Gavin's impeccable timing. Jakko is a magnificent and versatile singer and guitarist, faithful but adding his own personal touch. Tony is regarded as one of the finest bassists in the world and this is a joyous masterclass in proving why. Then there is the master that is Mel Collins, playing as superbly as ever and adding some surprising parts and texture to songs he didn't play on originally... the second night I saw them after the third number, I heard a chap behind me exclaim "that sax player's f***ing great!" to which I could only nod in agreement. Finally, Robert Fripp - wonderful to hear him enjoying himself, delivering as only he can. Seven distinct elements fused together and the overall effect is incredible proving that this music remains remarkable and timeless. All the performances chosen here are excellent and that brings me to the Blu Ray. It is one of the most enjoyable shows I've ever watched, though I willingly admit, it fails to capture the actual experience of being there, in the moment with the band in person. It gives a great impression and a real feast to be able to focus on each player and see what they are doing up close and in detail. The way it's been edited and presented is that the majority of the time, you can see all seven members in action. The editor seems to know exactly when we want to see close ups of whichever player so you see the solos in all their glory without any fancy graphics or fast cuts, instead opting for a laid back slow/soft fade approach that makes the whole thing more immersive. Regardless to say, this lovely package is a must buy as an encapsulation of King Crimson circa 2015 in much of their glory, but I must state that you have to witness them for real in person to get the full glory. "Silence is a distant echo of the approach of the Muse."